Last night, Shaken Not Stirred once again traveled one whole mile to bartend an international 40th birthday party in my own hood, they call Valley Glen. I say it was an international birthday party because there were guests in attendance from Argentina, Great Britain, Iran, Mexico, Chile, and probably a few other countries. I have links to South America myself, and love the way they party. I had booked this party months ago, and I think the reason the host booked me, was because I was in the neighborhood. Yesterday, all day before the party I was suffering anxiety and was feeling that somehow I was going to screw the party up. I arrived 1.5 hours early to set up for this reason. Of course, I forgot my tupperwear for garnishes, simple syrup, camera, and knife. So, I drove back home and got those items, minus the camera. A friend of mine keeps telling me I should make a check list. I think it it is time I finally do that. I always either forget to bring something, or I leave something behind. The party went very well. 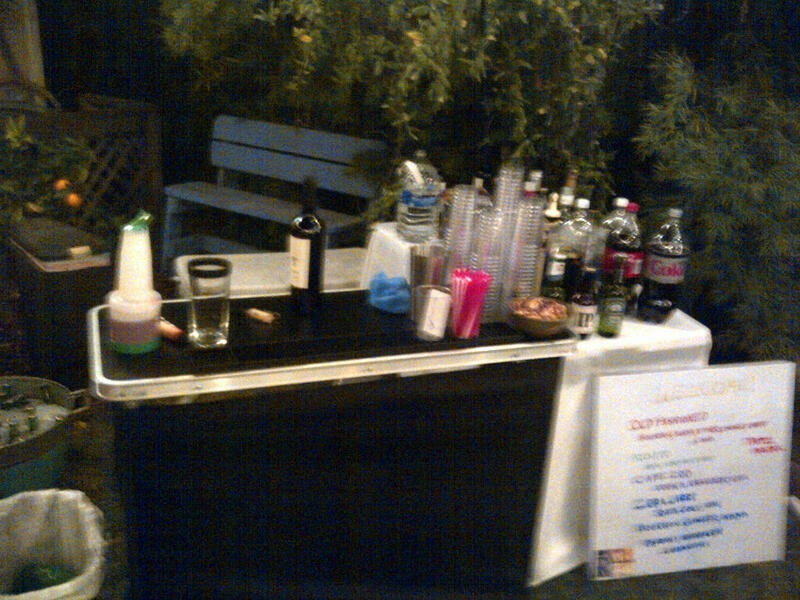 I think it is almost impossible to screw a party up as a bartender if you arrive early to prepare. I served Old Fashioneds, Mojitos, Cuba Libres, and Cape Cods. The old Fashioned and the Mojito are labor intensive drinks to make, but the more I make them, the quicker I am. The Old Fashioned is a classic cocktail and fantastic drink. Those were definitely the hit of the night. 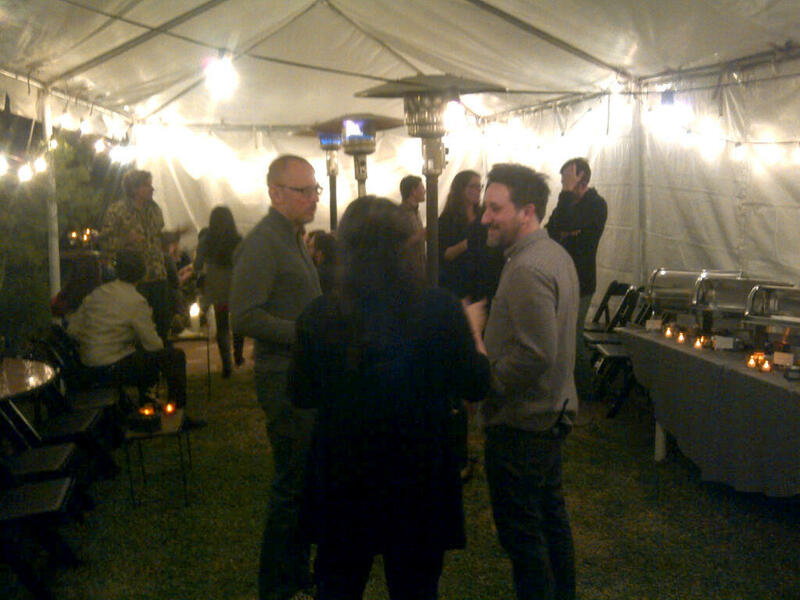 I served Peroni beer, Lagonitas IPA, and lots of red wine. As I mentioned, I forgot my camera and only took a couple lousy pictures with my camera before it died. It’s a shame because there were many attractive people in attendance, dancing, and fantastic food. The host’s father in law made the food and it was incredible. They had many amazing appetizers, and then a very healthy main course selection, Argentine style. In the end, I think the party was a great success, and I think the birthday boy was very happy. Any man who has a 40th birthday party thrown for him, is indeed a lucky man. Next weekend I don’t have anything yet scheduled, and it is Super Bowl weekend. I’m hoping to pick up a couple of parties. I have some birthday parties and weddings scheduled in February, and March is going to be very busy. I will be driving all over southern California bartending weddings in Santa Inez, Palm Springs, and the Inland Empire.